If you are looking forward to the launch of the upcoming Final Fantasy XV game you will be pleased to know that Square Enix has now made a free demo available for both Xbox One and PlayStation 4 consoles. The Platinum Demo Final Fantasy XV is now available to download and whisks players away to a fragmented dreamscape, says the synopsis and introduces players to an original story but also offers a few unique twists, providing a glimpse at the final game. Although this storyline is unique to the demo and will not be available in the final version of the game. Within the demo players take control of a young Noctis and allows you to team up with his magical guide as you explore the fantastical world of his dreams. Check out the demonstration teaser trailer below to see more about what you can expect from this unique playable demonstration of what you can expect from the final game. PLATINUM DEMO — FINAL FANTASY XV whisks players away to a fragmented dreamscape, introducing an original story with a number of unique twists. 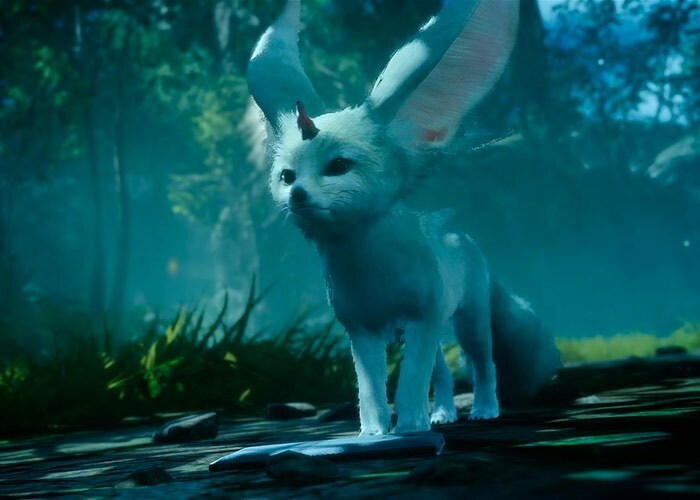 Join young Noctis and his magical guide, Carbuncle as you explore the fantastical world of his dreams. You will be able to explore driving, magic, and the latest combat system in this exclusive gameplay experience, which won’t be available in the main game.